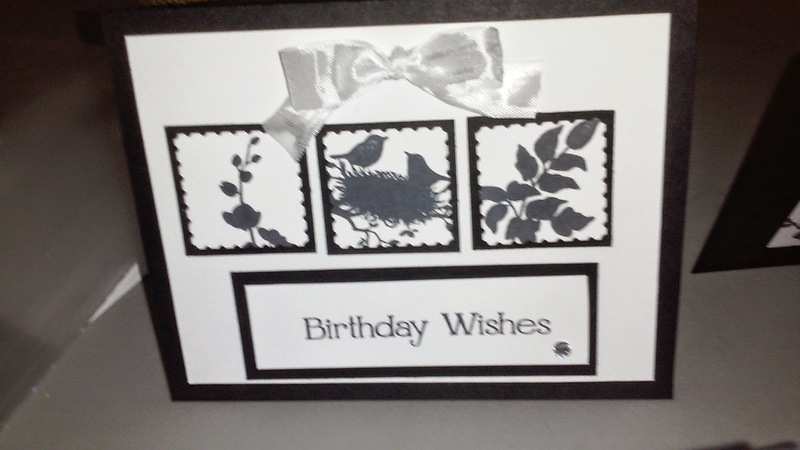 Art Gallery Cards: A Pretty Gift, A Little Tangle, and The Rule of 3's and Card Making! A Pretty Gift, A Little Tangle, and The Rule of 3's and Card Making! 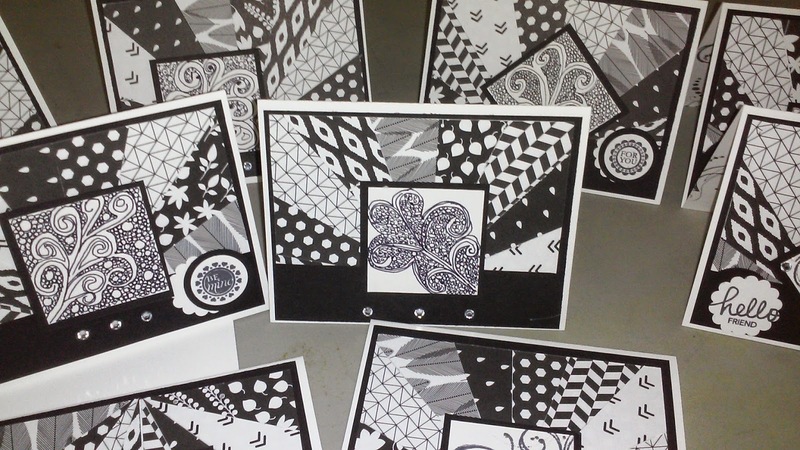 I decided to add a small (2"x2") tangle on one of this week's Black/White cards! I have not achieved granddaughter Riley's or stamp friend Cyndi's expertise, but I think we all experienced the calming quiet of a little Zen Tangling. The creations looked great with our "Back to Black" DSP starburst card. Good job, stampers!! We then made a much less complicated card with the World of Dreams stamp set and a few punches (square and postage). We used Memento Tuxedo Black ink for both projects! I'm loving that stamp pad! 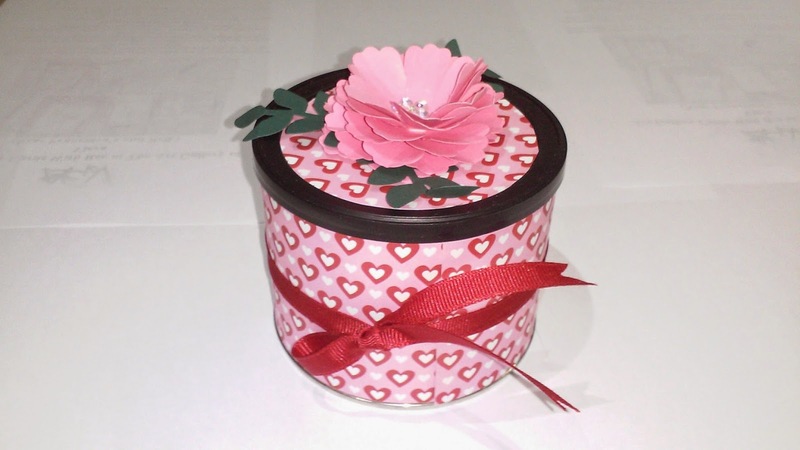 Bea, one of my fabulous and creative stampers, gave me this lovely valentine tin. Don't you love it? Just perfect for a few valentine treats, like I found inside. Thank you, Bea! Have a wonderful day and don't forget to check out the Weekly Deals for this week up above!